Propane is a great source of energy for home use. But like any fuel, you need to take care when using it. Here are some basic safety guidelines for using propane in your home. Teach your family to detect propane leaks (propane smells like rotten eggs). If you smell a leak, leave the house immediately and contact the fire department. As you leave the house, DO NOT touch electrical outlets or light switches. If you think a propane appliance has been damaged, contact us – we will send a technician to fix the problem. Don’t try to fix it yourself! Never skip routine annual maintenance on your propane appliances! Maintenance will help you spot a minor issue before it becomes an emergency. Learn the layout of your propane service lines so you don’t damage them while landscaping or performing renovations. Check your system if you or a family member exhibits any of these carbon monoxide poisoning symptoms – headaches, dizziness, loss of muscular control, vomiting or watery eyes. Stay Safe! 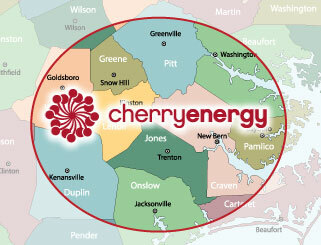 Contact Cherry Energy if you have any propane safety questions.